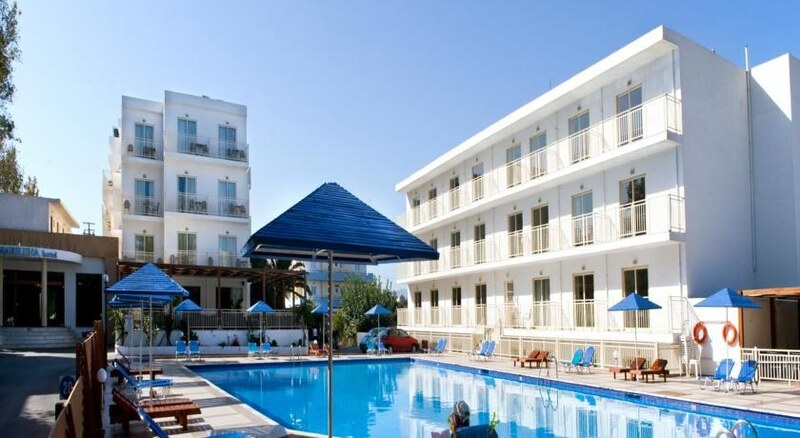 If you’re a couple, family with no small kids or a group of traveller looking for a budget hotel in Crete, Marilena Hotel might suite your budget. The hotel is calm and relaxing, yet close to the beach. And though away from Heraklion town, there are many restaurants and shops within minutes’ walk. 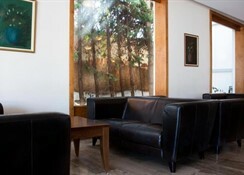 It offers bed & breakfast, half-board and all-inclusive boarding options. 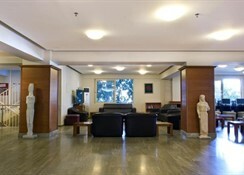 Marilena Hotel features 86 guestrooms that come divided into standard rooms, superior rooms and deluxe rooms. Rooms are simple in terms of décor but they’re modern, clean and spacious, each with a balcony/terrace. You can select between rooms with double bed and rooms with twin beds—you can request for extra bed and crib. Facilities that make the rooms comfortable include air conditioning, TV with satellite, safe deposit box, mini fridge, telephone, en suite with bath, hairdryer, WiFi internet and more. Different rooms give different views of the surrounding—but fresh towels and linens and housekeeping is standard, which is provided daily. 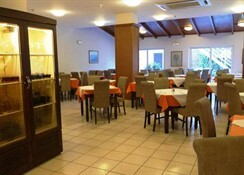 The hotel features a buffet restaurant that serves breakfast, lunch and dinner. You can look forward to continental breakfast with an array of selection on the spread. And at lunch and dinner, you will find Greek, International and Mediterranean cuisines, complimented by desserts and alcoholic drinks. It organises theme dinners regularly and menu is often changed. 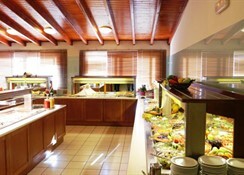 In addition, the pool bar is where snacks and light meals are served during day time. You can also enjoy beverages menu that caters to cocktails and mocktails and other alcoholic and non-alcoholic drinks. And in the evening, the main restaurant does get quite busy as this is where an extensive alcohol menu is served—drinks are served between 10am and 11pm. There is a swimming pool in the hotel with complimentary loungers and parasols—approach the front desk for lilos and beach towels. Water polo, water volleyball and water gymnasium are popular during day time activities. You can also play table tennis, billiards and such other board and card games—but at any during the day, if you visit the beach, it really is an incredible place. Bikes, cars and boats are also available for rental, in case you plan an excursion. And the hotel houses a spa that offers facial treatments, manicure, pedicure, massage and other relaxing massages and therapies. 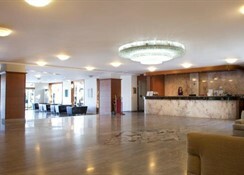 Located about 550 metres from the sandy beach, Marilena Hotel is a three-star property with 86 guestrooms. 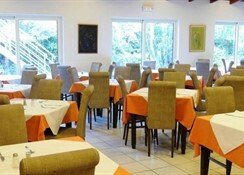 Centrally located, you will find restaurants and shops around the hotel. You can also visit Heraklion (4.5 km) for more dining and shopping options—the bus stop is about 400 metres from the complex. Water sports, both motorised and non-motorised activities are an option during the day time, otherwise you may consider trekking and hiking in the beautiful hills. There are series of coastal villages, and it’s a fancy to go on a bike ride because the landscape changes after every few kilometres. Ipsos Beach (500 meters), Barbati Beach (3 km) and Dassia Beach (3 km)—there is a supermarket about 300 metres from the hotel. If you ever look for a harbour, it’s 14 km away and distance to Heraklion Airport is 10 km. *** This hotel might not be suitable for kids and travellers with mobility problem. A nice stay if a little chaotic to begin with! We were supposed to start our ten day holiday here, however, after a problem with electric in some rooms, they had to send us to a different hotel down the road for two nights. Once we returned, the Marilena upgraded us to their best double room. After this, we enjoyed the rest of our stay. The food was good, but the restaurant was really busy!! We often had to queue to get into the restaurant. Hotel staff we pleasant and friendly. Food was a good standard and we were given the choice of a variety of dishes at all meal times. Local bus service and taxis outside front gates. P.s. We arrived late, a meal had been left for us for when we arrived... That was a nice touch. Good service throughout our holiday.